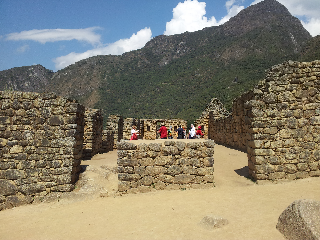 We have just completed a ten day hike to Machu Picchu starting at the village of Cachora in the neighbouring department of Abancay & passing by the extensive & impressive Inca ruins of Choquequirao. 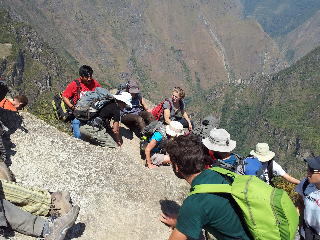 This was our hardest walk so far with distances up to 15 km & ascents & descents of over 1000 m, often on the same day. The views of steep mountain valleys & snow-capped peaks were stunning. We also did a mini-project spending a morning with the school children in the village of Yanama. I'm not sure what they made of our descriptions of Australian wildlife but Ellie's picture book helped and Jim's graphically acted death from snake bite was a great hit. We never suspected the depths of his thespian talent! 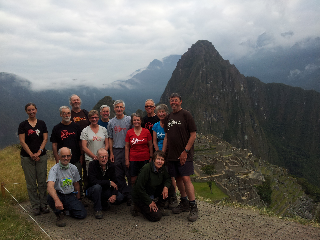 We finished the walk at Machu Picchu - easier to get to than Chokekiraw (alternative Quechua spelling more or less) but certainly impressive for its size & the extent of intact buildings.